Keith Bureen of Auburn holds a salmon caught last week on the Chetco River with guide Rye Phillips. All North Coast rivers, including the Chetco, will be on the rise following the storms that are currently hitting the area. Photo courtesy of Rye Phillips. With the first big river rise of the season, I would expect there to be lots of debris coming down the rivers, and hopefully a lot of chrome bright kings heading the opposite direction. To see all of the North Coast river levels and predictions, visit cnrfc.noaa.gov/index.. To get the low flow lowdown on all of the North Coast rivers, call 707-822-3164. The sport Dungeness crab season kicked off this past Saturday, and those who ventured offshore reported the crabs were plentiful and good-sized, but definitely on the light-side. 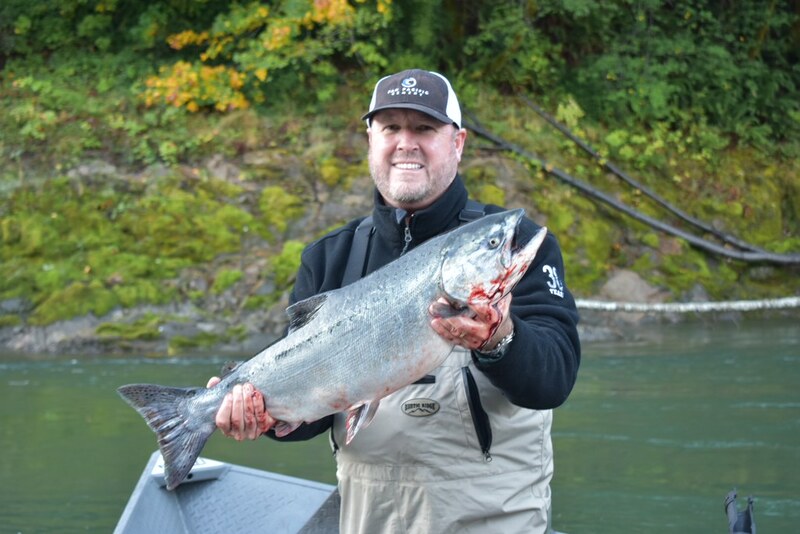 Captain Tim Klassen of Reel Steel Sport Fishing set gear south of the entrance this week in 100 feet of water and reported 20 to 40 keepers per pot following a two-day soak. “The reports are good for boats fishing both north and south of the entrance,” added Klassen. Opening day reports from Trinidad were about the same as Eureka – plenty of crabs, but they’re light. Up north to Crescent City, Chris Hegnes of Englund Marine reported that the crabs are thick, but also really light. “Straight out of the harbor in 80 to 90-feet of water was one of the top spots along with the full length of South Beach. There is a huge volume of crab out there, and a short soak on the opener produced up to 30 keepers per pot. Crabbers also did well inside the harbor,” Hegnes added. For the trapping week of Oct 29 through Nov. 4, only one Chinook jack was trapped at the weir. To date, 865 jacks have been trapped compared to 69 for the entire 2016 trapping season. This past week, 11 adult Chinook were trapped, bringing the season total to 1,026. In 2016, only 459 total Chinook were trapped. 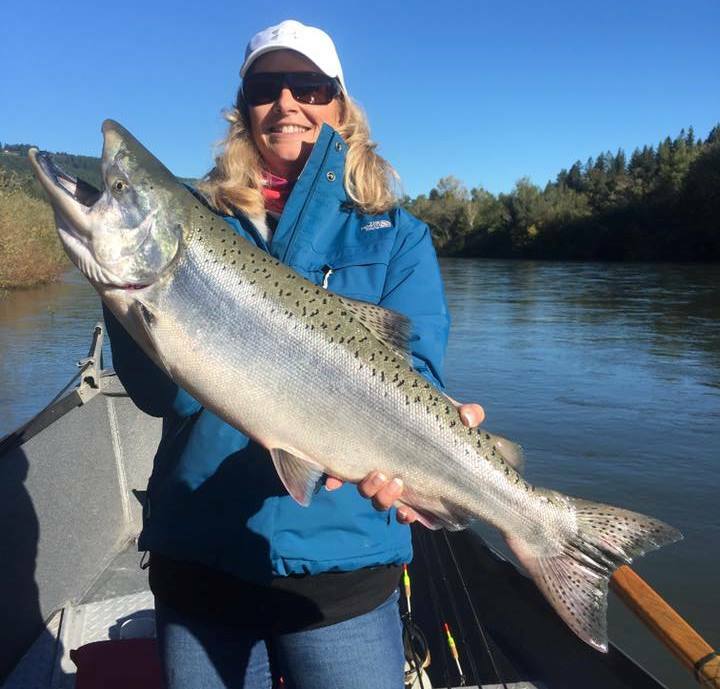 Reminder: A North Coast Salmon Report Card is required to fish for salmon on the Smith River. The daily bag and possession limit is 1 Chinook salmon and no more than 5 wild Chinook salmon over 22 inches per year.